Halloween is almost here. Do you have plans? 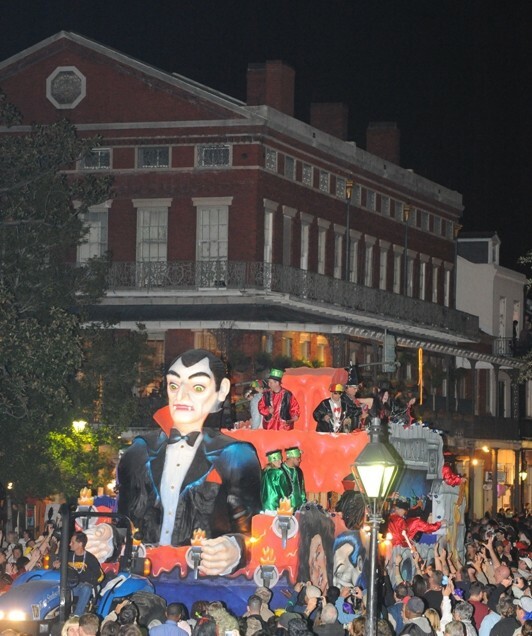 We’re celebrating Saturday night and going to the Krewe of Boo parade in the French Quarter. Hope you’ll join us. 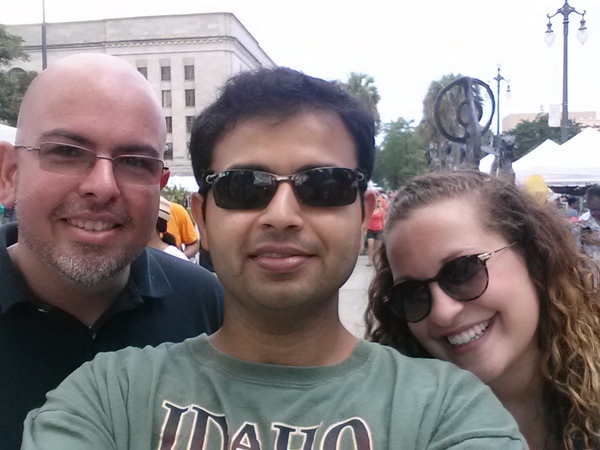 We’re doing an informal food outing tomorrow (Sunday, Oct. 13) at the Louisiana Seafood Fest and would love to see you. The fest is free and has free cooking demonstrations and music. We had a lovely Segway meetup in the French Quarter last week. Thanks to New Orleans City Segway for hosting us and taking us around the Quarter. We saw the street that inspired Walt Disney’s Port of New Orleans, learned some of the history of the Cabildo and saw examples of wrought iron versus cast iron. If you are interested in a tour, City Segway offers several packages. Find out more here. It’s time for another #NewinNOLA meetup! We’re excited to partner with New Orleans City Segway for an Instagram/Twitter/Facebook photo tour on Sept. 4. – The event is Wednesday, Sept. 4. That’s a week from today. We’re eating our way through New Orleans. Venues this week included Camellia Grill, Parkway Bakery, Orange Couch and Hollygrove Market & Farm. We had a veggie-filled week, thanks to Hollygrove Market & Farm (@HGMF). We signed up for the weekly produce box. The box is $30, including tax and the delivery fee. We’re having our next #NewinNOLA meetup June 22 (Saturday). We’re still working out the time and place, but this will be a restaurant event. It will probably be a restaurant on the Eater 38 list. Put it on your calendar and check back for details. We’ll have more info soon. Also, we now have an events page on the site. We’ll update that page with our upcoming events, which are open to new and old residents. The more, the merrier.